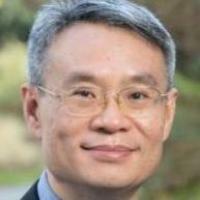 Li, S; Xiao, N; Wang, P; Sun, G; Wang, X; Chen, Y; Li, H; Cong, J; Zhang, T, RC-NVM: Dual-Addressing Non-Volatile Memory Architecture Supporting Both Row and Column Memory Accesses, Ieee Transactions on Computers, vol 68 no. 2 (2019), pp. 239-254 [10.1109/TC.2018.2868368] [abs]. Chai, X; Fu, X; Gan, Z; Lu, Y; Chen, Y, A color image cryptosystem based on dynamic DNA encryption and chaos, Signal Processing, vol 155 (2019), pp. 44-62 [10.1016/j.sigpro.2018.09.029] [abs]. Chai, X; Gan, Z; Yuan, K; Chen, Y; Liu, X, A novel image encryption scheme based on DNA sequence operations and chaotic systems, Neural Computing and Applications, vol 31 no. 1 (2019), pp. 219-237 [10.1007/s00521-017-2993-9] [abs]. Yang, H; Zhang, J; Cheng, HP; Wang, W; Chen, Y; Li, H, Bamboo: Ball-shape data augmentation against adversarial attacks from all directions, Ceur Workshop Proceedings, vol 2301 (2019) [abs]. Liu, X; Yang, H; Liu, Z; Song, L; Li, H; Chen, Y, DPatch: An adversarial patch attack on object detectors, Ceur Workshop Proceedings, vol 2301 (2019) [abs].